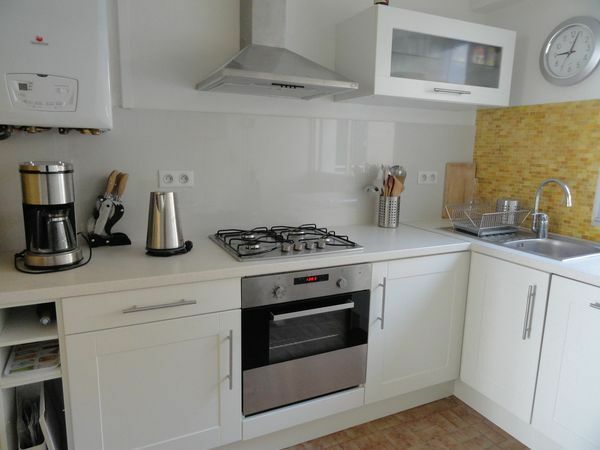 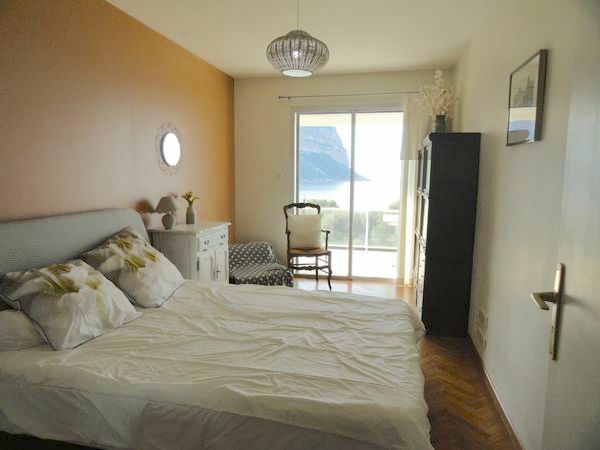 Tourist tax and additional services (rental linen, baby cot, etc ...) extra. 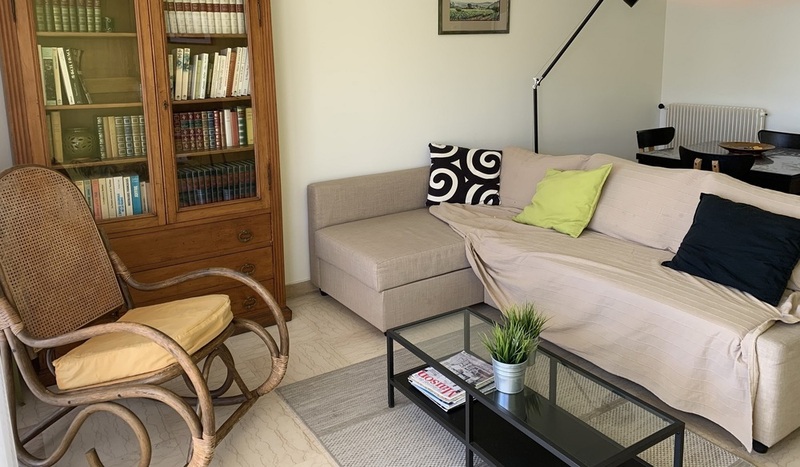 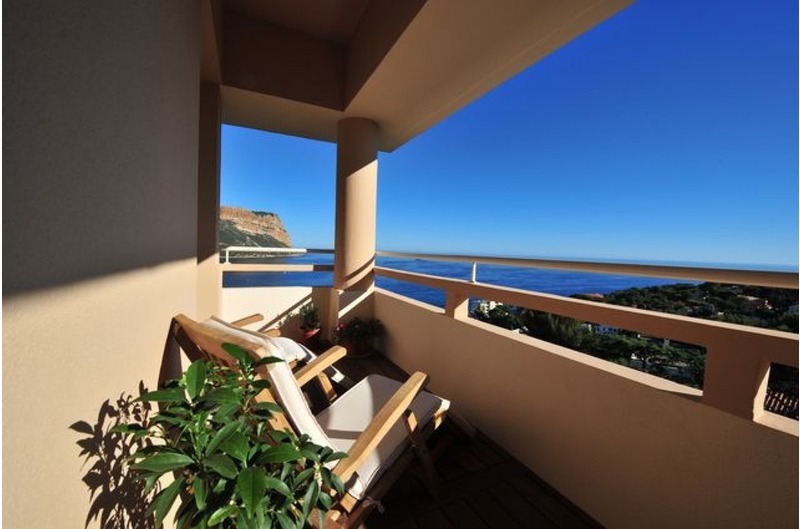 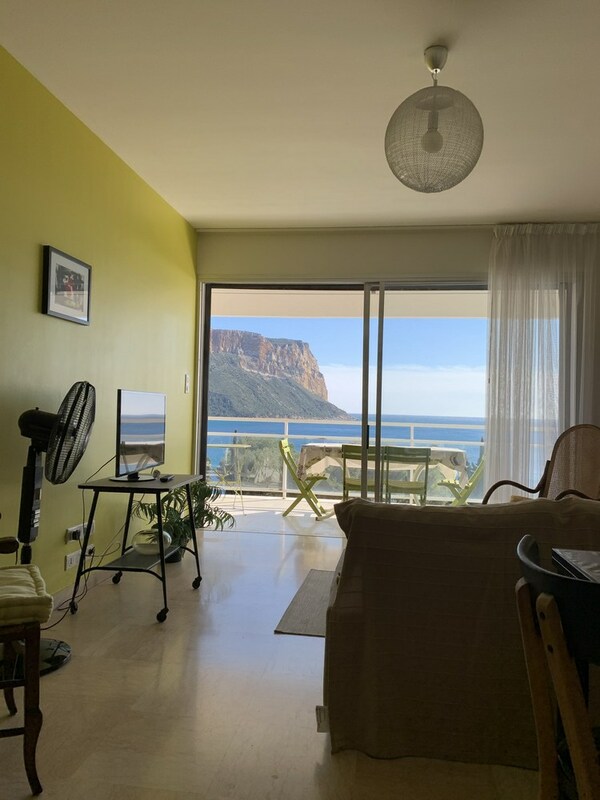 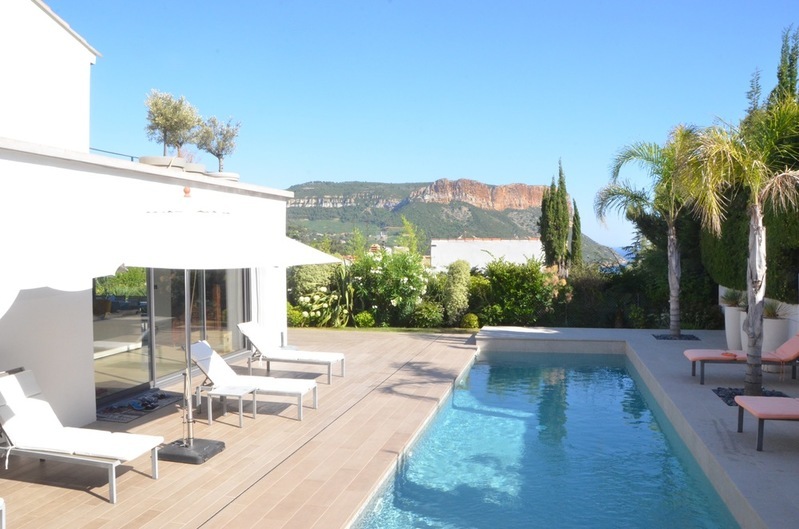 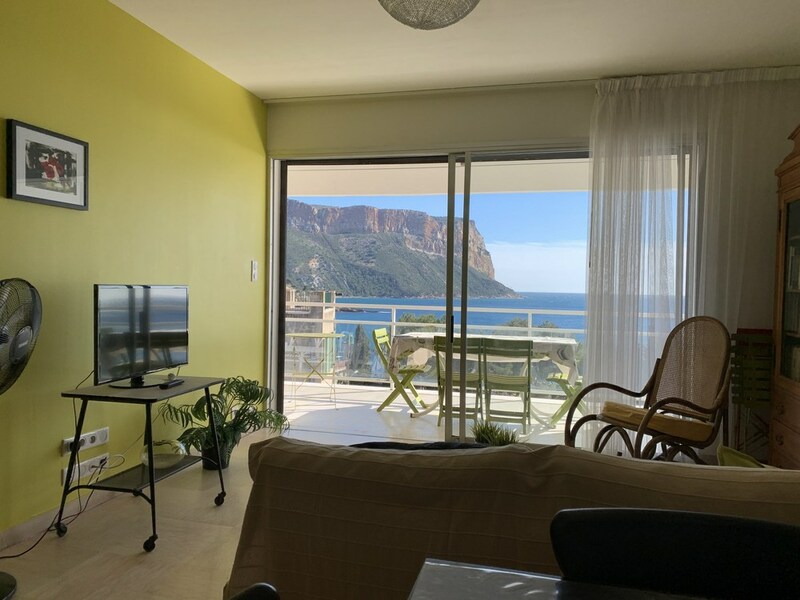 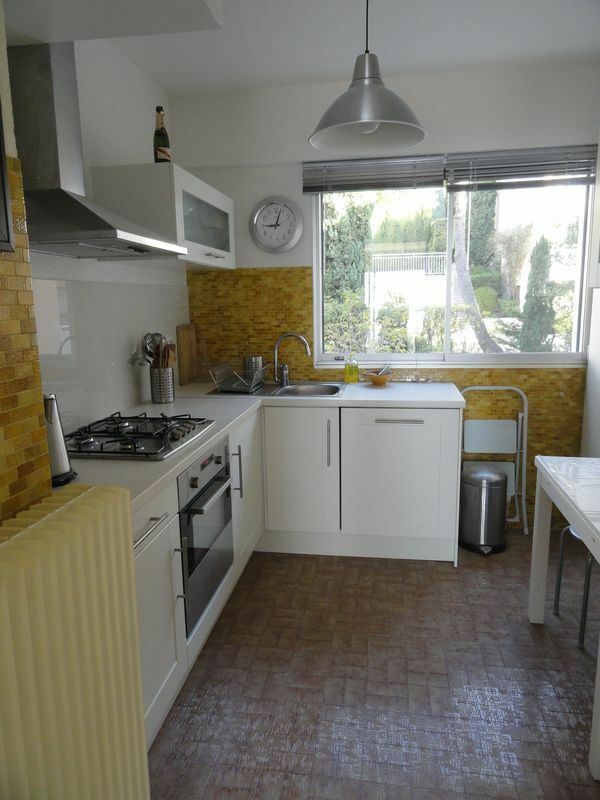 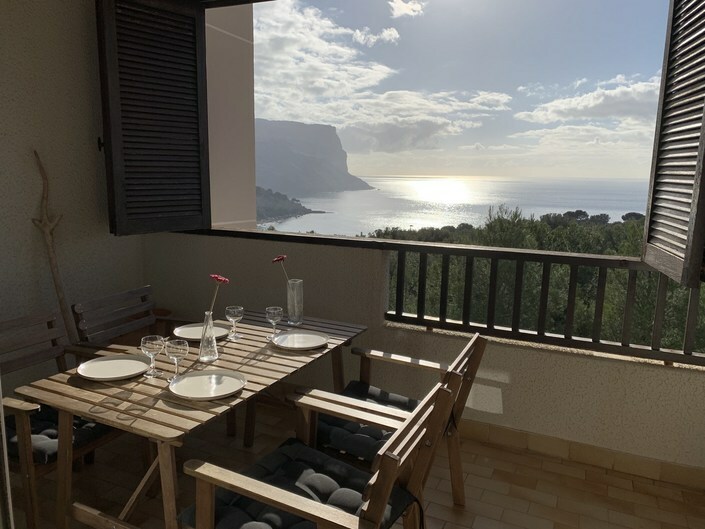 Cassis, at 50 m from the beach of Bestouan and at 400 m from the city center, in a gated residence, apartment type 2 with terrace, overlooking the bay and Cap Canaille. 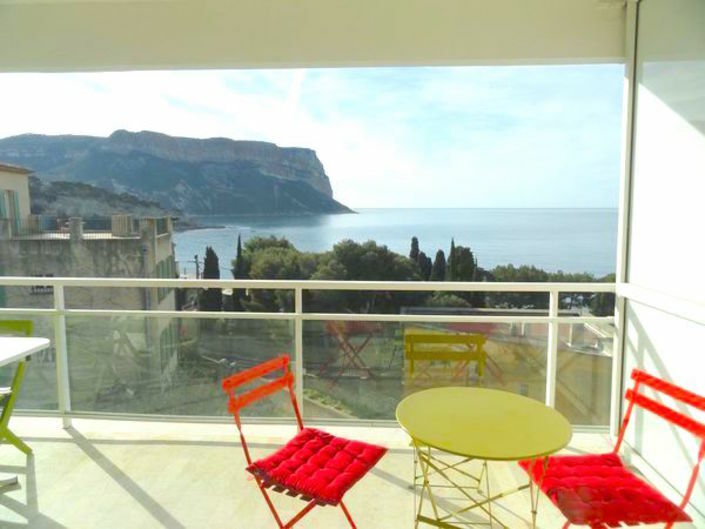 Entrance, living room with convertible bed overlooking terrace sea view and Cap Canaille, an equipped kitchen with “loggia” (hood, oven, gas hotplate, dishwasher, fridge / freezer), shower room with washing machine, separate toilet, bedroom with one bed (bedding size:160 ; composed of 2 matelas in 80) and a cot foldable.